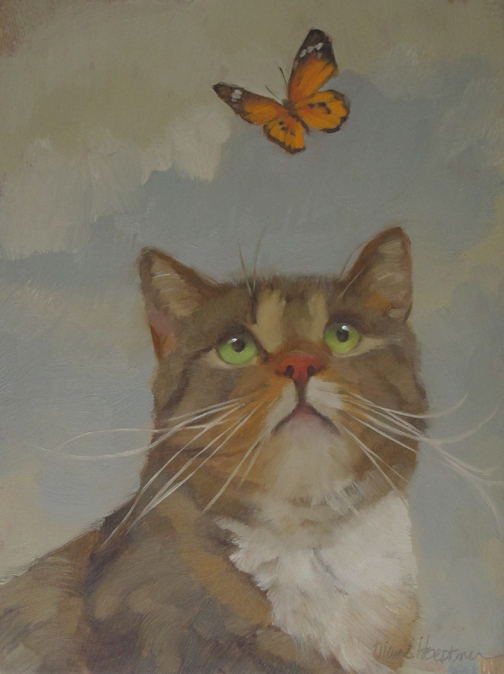 This painting is another in my ongoing series "Eye on Butterfly," click here to see more. Gorgeous. Amazing how you opened the sky here. Oh course kitty and butterfly are adorable. And you nailed it, but especially the expression of the cat. He has combined looks of what and who are you in my space, and how do you do that, wish I could fly.